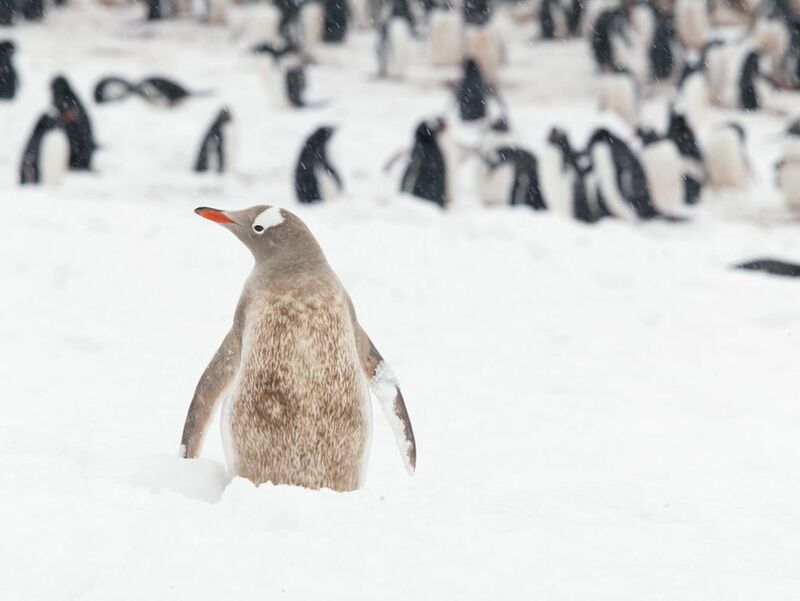 thomasoneil.com Best of Antarctica, 2003: A leucistic gentoo penguin. It looks just like other gentoos except its back is brown instead of black. Cuverville Island, Dec. 3. [#702] Click on image for next photo.